6" sculpted and pleated purple lavender blend with rose watermark above chartreuse throat. 11.5" peach self with green throat and no fragrance. 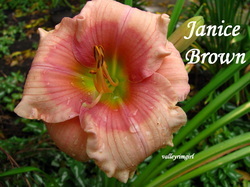 It's unusual form and huge flower has won it many awards. 4.25" ruffled bright pink with rose pink eyezone and green throat. 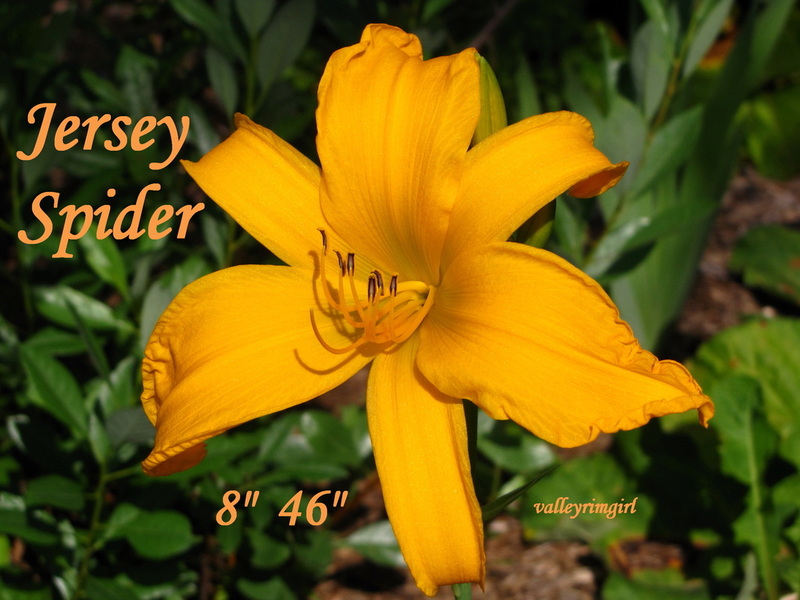 Awards: Junior Citation 1986, Honorable Mention 1989, Award of Merit 1992, John C. Stevens Award for the Best Eyed Cultivar 1990, Annie T. Giles Award in 1990 for the most outstanding small flower daylily whose width is greater than 3" but less than 4.5", Stout Silver Metal 1994. This daylily is so pretty. I love this group shot, taken August 2012! 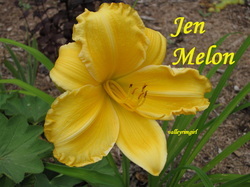 5.5" creamy yellow, light ruffling on edges. Chartreuse throat. Very fragrant. 8" orange self with green throat. Awards: Honorable Mention in 2006, Award of Merit runner-up in 2009. 6" lightly ruffled, diamond dusted, near white self with lime green throat. In cooler weather the flowers are known to stay open 16 hours or more. Awards: Junior Citation 1977, Honorable Mention 1981, Award of Merit 1984, Lenington All American Award 1990.